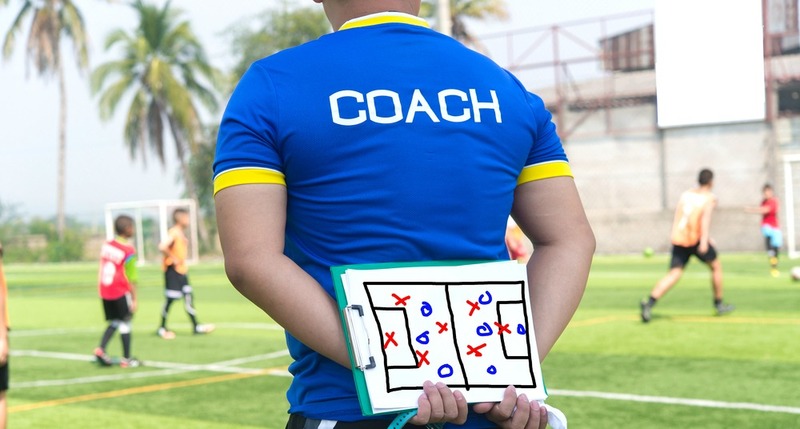 Coaching youth sports is a far different animal than coaching any other type of sports program. And do you want the basics here? OK, then swearing is out. Complicated plays are out. Yelling when someone makes a mistake is out. Picking favorites to play over others is out. And with that, let's dissect each of these basic virtues, shall we? Adult coaches don't swear at kids, period. As a coach, and believe it or not, you have now become a role model, and role models don't swear. Swearing not only makes a kid feel horrible, it might make the kids parents pull their kids from the team, go to the commission to have you dismissed, or worse, you may end up in a YouTube video making a fool of yourself. So if you are looking to motivate your youth sports team, swearing is NOT the way to do it, on any level. The KISS principle applies here in spades. (That's Keep It Simple Son, if you didn't know what KISS stands for.) Remember, kids are kids, they don't have the concentration that you do and besides, most of them are out more for a good time than to be learning complex plays. If you start throwing plays at them that no one understands or can execute, moral will go down the tubes and all motivation will be shot. That means, no yelling if someone makes a mistake, and you can be assured that every kid on your youth team is going to make a mistake, and probably more than one on any given play. Kids want to learn and play, so tough beans if they make mistakes. Is it the end of the world? No, but if you yell at them for making mistakes, it might be the end of their world. This is the absolute hardest thing to do. You want to win, we all want to win, and picking favorites is the best way to do that. The problem is, it's actually the wrong way to do it. Winning in youth sports ~ Does it feel good? Yes. Is everyone happy when it happens? Yes. But do you know what makes a kid happier? Playing! If the kid is not a star player, so what! Let them play. Just make sure everyone gets the same amount of time on and off the field so that no one will feel left out. Feeling left out is about the worst thing that a kid will ever feel. You know, 10 years from now, that kid that wasn't exactly a sports prodigy, is always going to remember that the coach gave them a chance to play. That type of motivation is priceless, in any walk of life, and it will carry over to parenting, business and any other team or family situation. Kindness, caring and a gentle touch will go more to motivating and inspiring any youth sports team than anything else you can do. Guidance and teaching are the hallmarks of youth sports, because for many kids this might be their first foray into a sporting world. A positive attitude, under any circumstance, no matter how trying, is the best motivational and inspirational technique you can possibly have, and it all begins with you.